Just after my son’s birthday is when we usually make some homemade thank you cards – all our family are overseas so it’s nice to send cards when we can’t see them in person. Last year we made cards with letter stamps, but we’ve also made cards with stencils and cookie cutters before, too! I’ve wanted to try toothbrush splatter painting for ages, and this seemed like the perfect opportunity – although things did get rather messy! Our kitchen table is perfectly wipe-clean but you may like to put newspaper or other cover down if your surface could be stained by the paint. I used painters’ tape to secure the stencils to pieces of white card, then placed one card in a foil tray. My son chose some paint and I squeezed it out onto paper plates. I also provided a little bowl of water and, of course, a toothbrush! I showed F how to dip the brush into the paint, then use a thumb or finger to splatter the paint over the card. Note: I’m hoping this doesn’t need to be said, but the toothbrush can’t be used for cleaning teeth after this art project! Each card took about a minute to splatter, so I just kept swapping in new cards and stencils and he kept splattering. We found that the paint splattered better if he dipped the toothbrush in water before the paint. Of course, F had got pretty messy in the process, but luckily I had some Lava Soap to hand – have you tried it? 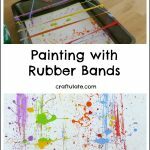 Although this soap isn’t made specifically for kids, it is perfectly safe for them to use; you might remember that it came to our rescue after some messy child-led process art last year! It was originally developed in 1893, and its winning formula is perfect for getting dirty hands extra clean! It is probably better known for being used by gardeners and mechanics, but it also has many other uses! Lava Soap has a slightly rough feel to it due to the pumice – did you know that pumice is a by-product of volcanic activity, and gives the soap its name?!? 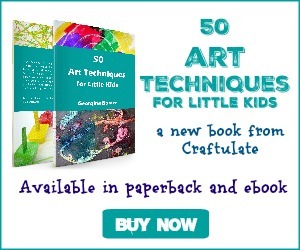 It works really well for removing acrylic paint from both my son’s hands and my own! When the cards were dry it was time to get to writing – and I am so happy with how they turned out! What a fun idea! We have some toothbrushes we could use for this. And I remember using Lava Soap growing up!! This is so fun! I splatter almost all my watercolor art! Love it! What a fun idea. 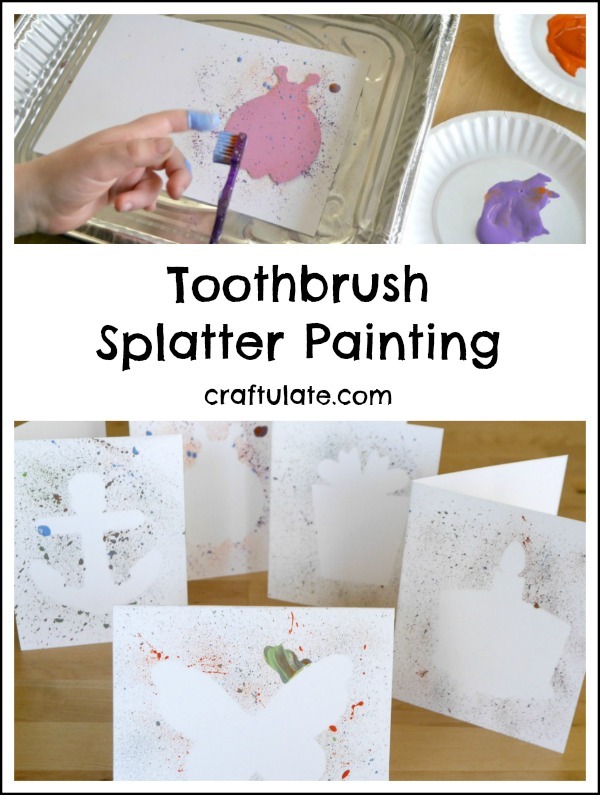 We have done toothbrush splattering in a while. I love doing the stencil idea. And, thanks for the reminder of LAVA. That’s a blast from my past. I love this idea!!! I’ve never done it before – looks awesome!! What a fun idea! We might try these for birthday cards for spring/summer! This is such a fun project ! I remember LAVA soap from when I was a child. We used it for our heavy-duty clean ups… never failed us!